Other than my WIP pile, I did manage to start the following freebie on my 2nd to last night in Paris, and have managed to finish it off as soon as I got home while getting over the jetlag (and letting those flu bugs slowly fester and take hold). 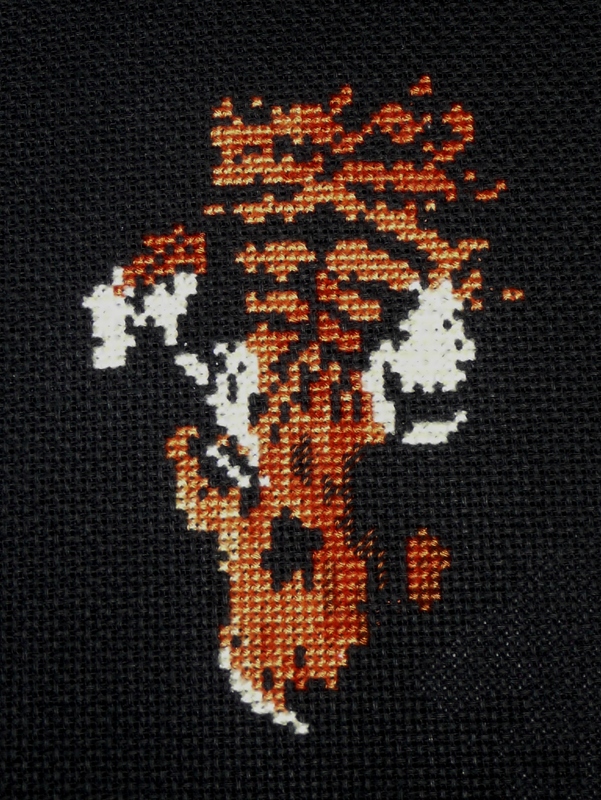 Anne S • This entry was posted in 2012 WIPocalypse, Cross Stitch, Finishes, Works in Progress and tagged 2012 WIPocalypse. Bookmark the permalink. Sorry to hear you’re not well, planes are the worst place for picking up some horrible bug. And sorry not to have been in Paris when you were – I was soaking up the sun further south, but I think it was also good weather here for you? Looking forward to hearing about your trip, and hoping you get well soon. Your little souvenir from Paris looks great. I’m looking forward to hearing about your trip. And hopefully you will feel a lot better soon. Good to see your post. Sorry you have been ill. Am anxiously awaiting the saga of your trip! Trip to other side of the world? La France? I can’t wait to hear your news. Feel better soon. Between this post and your FB pictures, it looks like you had a wonderful trip to Paris. 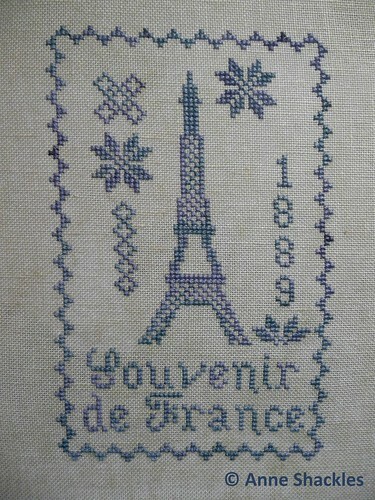 I’m hoping to make it there next February for the needlecraft fair in Paris.